Admit it. You have posted something on Facebook or Tweeted on your phone while you are at work today. I bet you are even doing it now as you read this blog! However, there are some legitimate concerns that an employer and employee should have when dealing with the workplace and social media usage. As an employer should I be concerned that my employees are using social media on the job? The answer to this question is a definite, “yes.” Today, we will focus on an employer’s liability for the actions of their employees, what that means for social media use by an employee, and the various laws that come into that type of situation. Remember, how I mentioned in the last post that it is part of your due diligence to research qualified applicants? Well, the reason is that you, the employer, is responsible for actions by your employees during work. In the law we call it respondeat superior and it means “let the master answer” in Latin. For example, let’s say a local moving company’s careless truck driver crashes the company truck into another car during rush hour in Downtown Honolulu. The car driver will sue the moving company for hiring such a terrible employee. It is due to respondeat superior that the driver can sue the employer (the master) for the negligent action of their employee. With social media replace that truck with tools like Facebook and Twitter, and you see how you could be on the hook for your workers. For example, let’s say you are a Honolulu marketing firm, and one of your employees decides to help your company by blasting your Maui competitor via Facebook; they make false claims and are using the Maui company’s images in their Facebook attack. They also then spend a better part of the working day harassing the Maui company’s Twitter feed by tweeting lewd questions. Are you in big trouble for their actions? Yes. 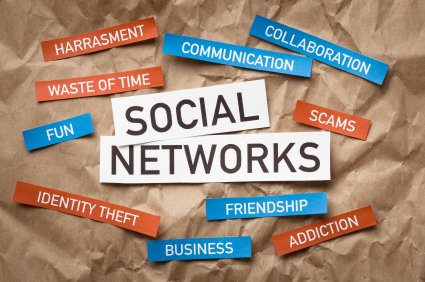 Now, let’s briefly look at some of the legal concerns that you should worry about when dealing with employees that use social media. In the example story of the employee who used social media to attack the Maui company, they used another company’s image. 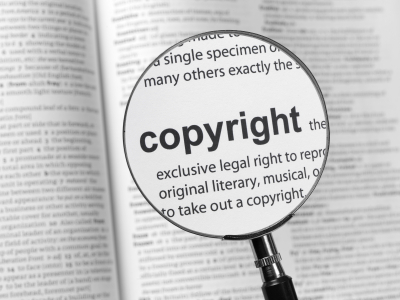 Whenever, you use another company’s intellectual property (trademarks, copyrights, and patents) without authorization you will face an infringement claim. Let’s say an employee uses a rival company’s logo and crosses it out by using a digital media editor. He then shares the picture through Facebook to proclaim that your company’s brand is better. The use of their logo is a violation of their property right. Posting photographs, published works, or video clips owned by someone else can also present legal risk to the employer. An employee that is Tweeting or posting false statements that hurt another person or business’s reputation opens you up to a potential lawsuit. Your employee that spends half her day attacking another company and making false claims about their products or services is a problem for you. We have heard in the news about “cyberbullying” in the schools, but apply those same behaviors to workers. The employer has a duty to create a safe working environment and if one guy is “textually harassing” other workers it could open you to harassment claims by those workers. If this bully is also singling out someone of a protected class (race, religion, sexual orientation, etc . . .) that also can lead to a discrimination claim. Now, let’s say one of your managers accesses a worker’s private file and discovers that worker is a recovering alcoholic. He then posts something to the effect of, “Did you know that so-and-so had alcohol problems?” to his friends on Facebook or tweets about it. This would be an invasion of privacy of the worker. Endorsements? Isn’t it a good thing that my employee is helping me out? It can be, sometimes. However, in Hawaii were there are tons of workers who love their company like a family, the employer has to watch that their employees are not gushing over the company’s products and services and not disclosing their allegiance. The Federal Trade Commission (FTC) has issued several rules and guidelines regarding employees promoting their employer’s services and products via social media. Basically, if they do not disclose their relationship and reader of the post that gets injured because of it the employer may be sued even though it was the employee who wrote the post. This is a special note for medical practitioners and those in medical-related fields that handle patient information. I’m sure you all are aware of HIPAA. Then you should realize that the following combination of a patient’s private information, an unhappy employee, and that unhappy employee’s access to social media is a potentially explosive legal situation. In fact, a similar situation has already occurred in Hawaii, where in 2009 a hospital worker was sentenced to a one-year jail term for accessing a patient’s medical record and posting the patient’s HIV status on her social media account. While, the state was suing the employee, you should remember that employers are responsible for their employees and medical employers should always be concerned with a breach in Protected Health Information (PHI). In the case of posting a patient’s medical condition on a social media site, such an action is a definite breach. 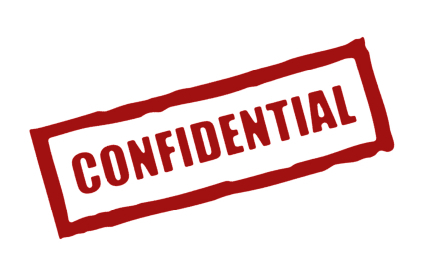 Those in the legal industry should already be able to see the headache that social media means for attorney-client confidentiality. It easily takes one tweet or Facebook post by a legal secretary or paralegal that discusses what they are working on to violate legal ethics and rules. Lawyers should take pains to train their staff from posting or tweeting about anything related to cases and clients. While, these things should of be concern to any business owner with employees in this day of social media there are steps they can take to deal with the situation. Other than having a good screening and hiring process for thoughtful employees and employer can fashion a social media policy. An attorney can investigate your workplace, make recommendations, and draft such a policy to be added to your handbook. A rational and coherent social media policy would discourage many of the aforementioned behaviors and allow you to explain to workers what is acceptable with regard to social media and its use. Finally, it may allow you to take steps to possibly terminate or punish that employee for violating your policy. However, there are certain boundaries of what can be enforced in a social media policy. With that, see you in the next Social Media and the Law where we will continue with Part II of Using Social Media at Work. We will discuss the situation more form the employee’s side and some of the boundaries of what an employer can do with their social media policy. What's the Purpose of a Trademark? How is it Used?